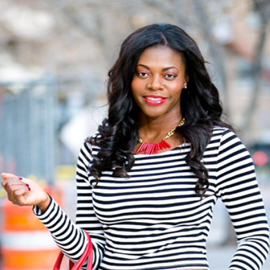 Hello Yvonne: STYLE & THOUGHTS: Striped 2 piece & the importance of reading! 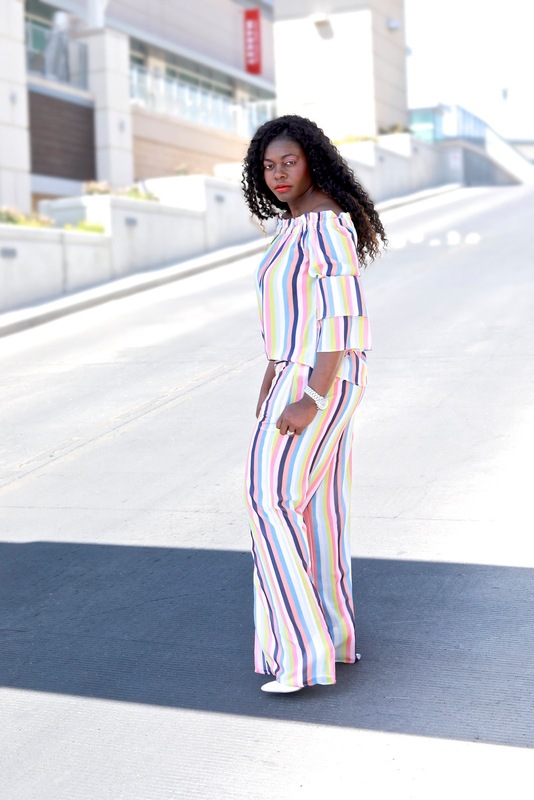 STYLE & THOUGHTS: Striped 2 piece & the importance of reading! Trousers and blouse- New York & Company (Here, Here, Similar, Similar), Heels- Shoe dazzle (Similar, Similar). 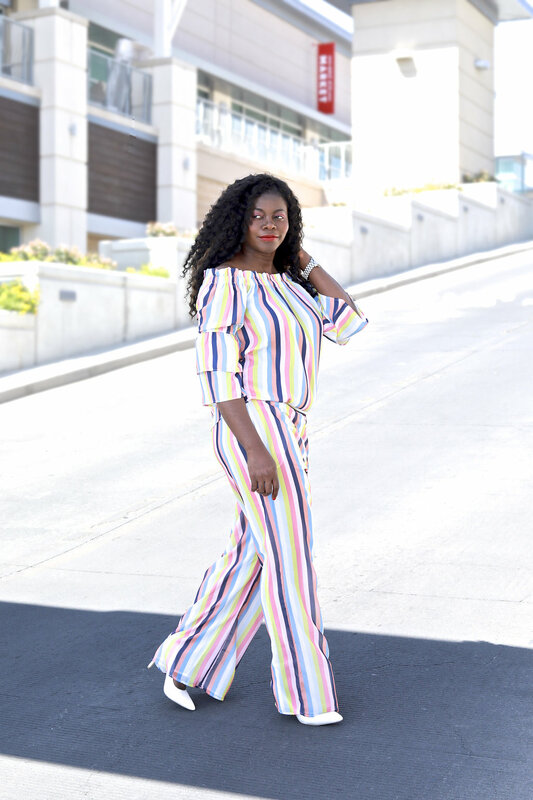 No Monday blues here, just some colorful stripes. Happy new week! 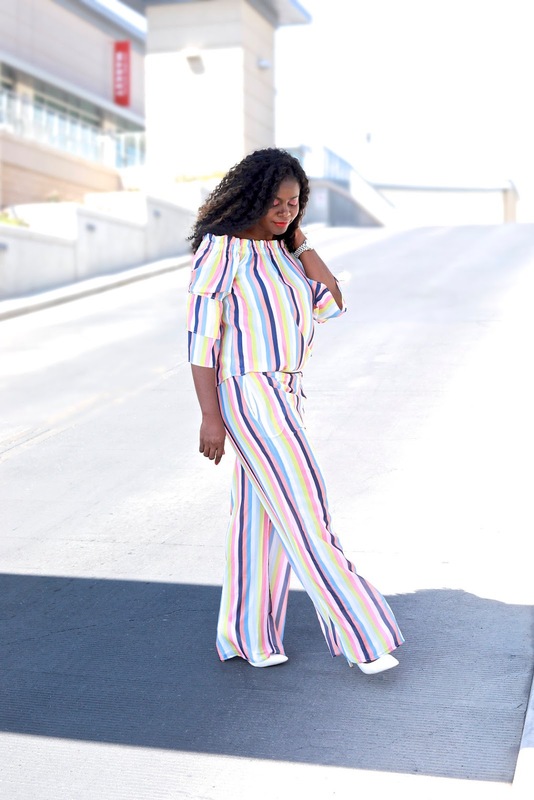 So I attended a fun blogger get together this past weekend and it made me think of what I want to continue sharing on my blog . Yes I’ll still continue to share a lot of style posts, some mommy posts but I also want to incorporate some other important things I think about. For example, I’ve been thinking of how little people are reading books, news papers or listening to reliable news sources besides just social media. People down play education but don’t get it twisted it’s important. Fewer people are going to libraries and getting newspapers and I hope these don’t slowly fade away. I want to eventually take Ella to a library and pick out some books, read and return. I think this generation can tell you the name of every Kardashian but someone I had chatted with didn’t realize Italy was in Europe and not to mention all the innocently ignorant questions I get about Africa. One thing I dislike but I choose to be patient with is when people refer to Africa like it's one country and don't realize it's a huge continent with different races, cultures, religions,languages and more. Some used to ask questions like are there cars there or think every African is like what they see on national geographic of some remote villagers with piercings under their mouths with little clothing on. Yes there are mansions in Africa, wealthy people, roads, trains, luxury cars etc but the opposite exists also. I pray for this continent with undistributed wealth and such potential to be greater than it is and for better leadership. 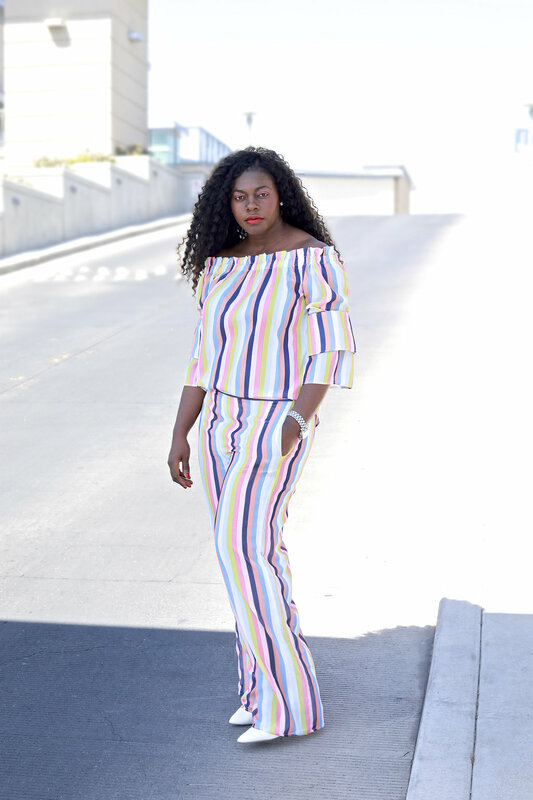 About the outfit, I loved the relaxed feel of the wide leg trousers and off the shoulder blouse. 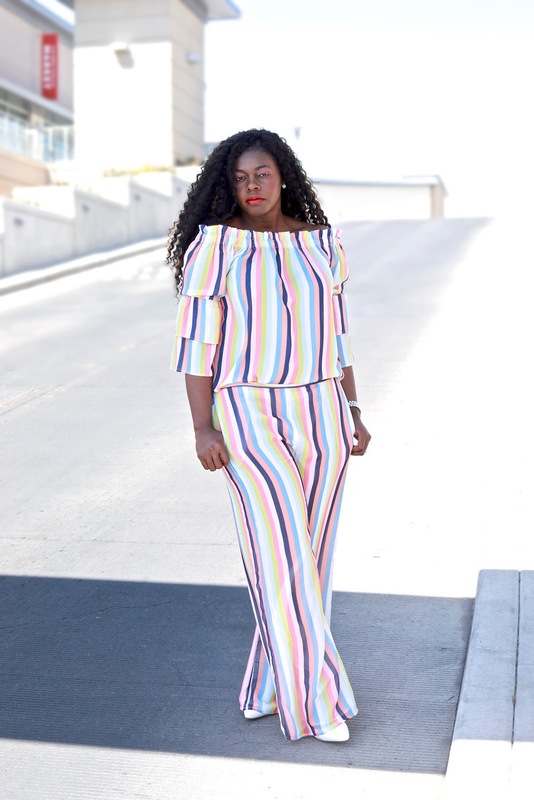 As I have mentioned in the past, co-ord 2 piece outfits are great when you just want to put a quick outfit together without thinking of other pieces to pair with although both pieces can be paired with other items. I also added white heels to keep the look bright and summery. Hope you like it and thanks for reading!. STYLE: Gold chains & Gold buttons! MOTHERHOOD: What motherhood has taught me so far! 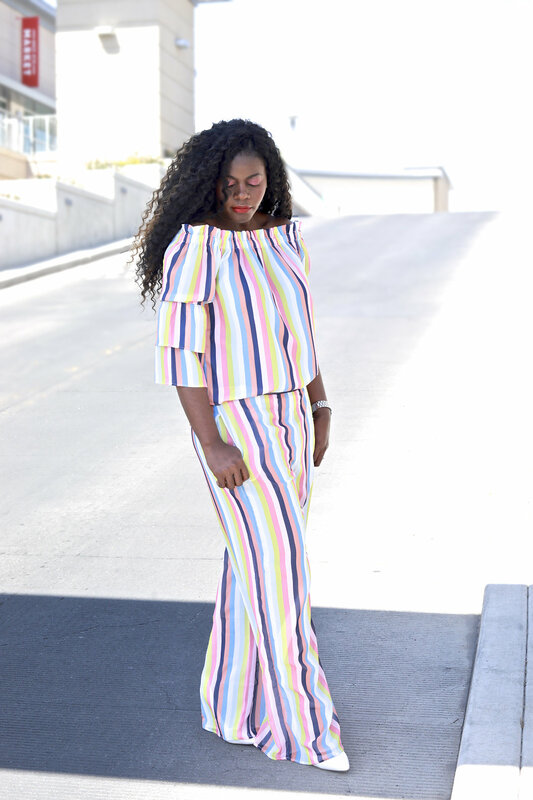 STYLE & THOUGHTS: High Low Dress & Bow Heels!